Vancouver Hypnotherapy is without doubt Vancouver’s most trusted provider of hypnosis-based therapies. Since 2007 we’ve been providing the most advanced hypnotherapy in western Canada. We have a staff of experienced hypnotherapists, allowing us to get you in swiftly. ​ Our quit smoking methods are considered the best in the business, and we look after our clients with a level of customer service an individual therapist simply cannot provide. If you are looking for the highest quality in hypnosis based therapies, the answer is very simple. Give us a call on ​778-331-0959. What is the current view of hypnotherapy within the professional psychiatric community? Many psychiatrists and psychotherapists acknowledge the value of hypnosis. The British Medical Association has acknowledged it as a valid therapeutic tool since 1899. The issue lies in the fact that 'hypnotherapy' is a full time job and a very specialized one. A psychiatrist who hypnotises someone three times a week will never have the skills of a hypnotherapist who works on six people a day. As a result, hypnosis takes something of a backseat. In the meantime there are hypnotherapists who practice a more metaphysical process - such as past lives work - which may have some therapeutic application, however it is very limited. This type of hypnotherapist does little to add credibility to a modality that is undoubtedly powerful and useful - but is perceived as flakey because of these metaphysical practitioners. As a result, people wishing to use hypnotherapy need to search carefully for the right kind of therapist. 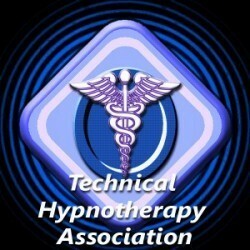 At Vancouver Hypnotherapy we practice a form of Technical Hypnotherapy. In this form of hypnotherapy there is no place for metaphysical hypnotherapy (or crystal balls, or angel cards). It focuses purely on addictions, weight loss, anxiety/stress related issues ​and depression. We do have therapists capable of the more metaphysical styles, however it is not our focus. I’ve seen hypnotized people act silly on stage. Will I do things I don’t want to do? Can my mind be controlled? You won’t do or think anything under hypnosis that you wouldn’t normally do or think. You can’t be controlled. If people in a stage show act silly it’s because they want to. Yes, anyone who wants to can be hypnotized. Hypnosis provides access to the unconscious mind where most of our behavior originates. With our guidance, you literally change undesirable emotions, habits, and behaviors into new desirable ones. You create a new you! Typically, you will be guided into hypnosis about half way through a session. In some complex cases, the first session is spent getting detailed background. Then hypnosis can be used to reinforce your ​goals, or to uncover and remove troubling issues. A strong counselling element is also likely to play a part in the process. Hypnosis is refreshing, relaxing, and energizing; for some even more refreshing than sleep. Most important is the fact that it works— people get results. How long does therapy last? How many sessions does it take? The number of required sessions varies between individuals and the nature of the therapy. As a rule, hypnotherapy is considered short-term therapy compared to conventional psychotherapy, meaning you will spend, on average, 3-5 sessions instead of several months of sessions. Quit smoking is different int hat it typically only requires one specialized 2-hour session. People use hypnosis for quitting smoking. Can it be used to work with other addictions? Yes. Most addictions are caused by events deeply buried in the past. While treating addictions many methods fail to address these issues, and so really only deal with symptoms. Hypnotherapy addresses the causes. We specialize in working with clients who wish to manage their alcohol use.